Bounce Energy is a Texas-based energy company that is committed to delivering value to our residential and small business customers through excellent customer service, innovative plans and products, and competitive pricing. 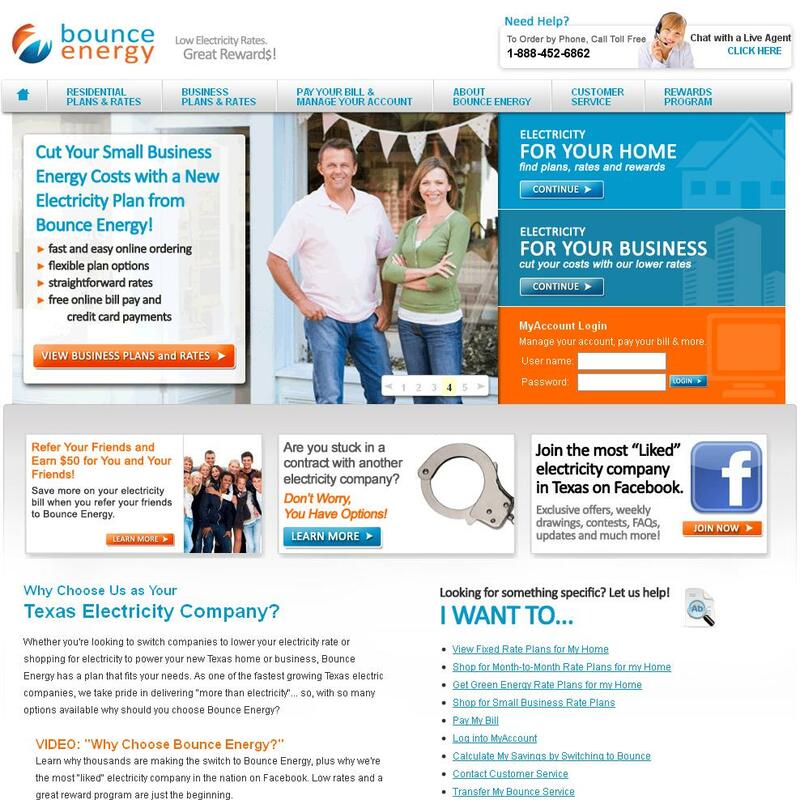 Bounce Energy is a privately owned, full-service Retail Electricity Provider (REP) for customers in Texas. SolverCircle worked at the admin panel of this site at the very early Start Up stage. Since then SolverCircle is still providing time to time development service and Full Maintenance service for their JitterBit Integration.